As if Iqbal, in my group, just finished developing an ArcMap toolbar plugin for Mapdex. 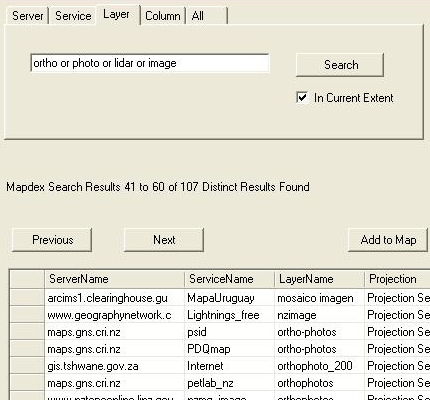 This ArcMap extension will allow you to search Mapdex directly from within ArcMap. I think it is pretty powerful. It makes use of the soon to be released Mapdex REST interface. Looks interesting to me. Finding web services is one of the hardest things to do these days and integrating one of the only tools that can do it, Mapdex, into ArcGIS should help increase their usage, plus integrated into ArcGIS should improve workflows. Click through to the article to sign up for the beta.